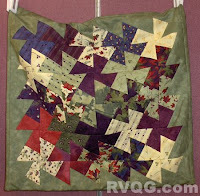 Here are some photos from the Show & Tell part of the meeting on September 24, 2012. 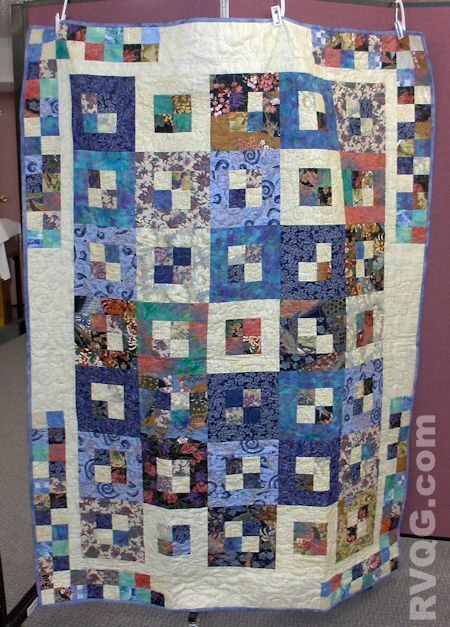 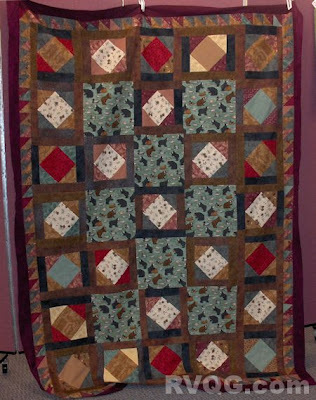 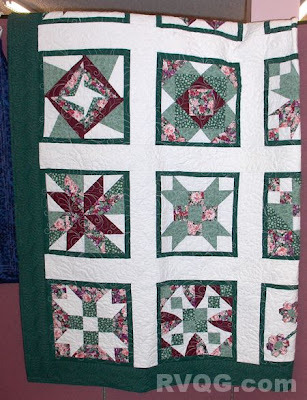 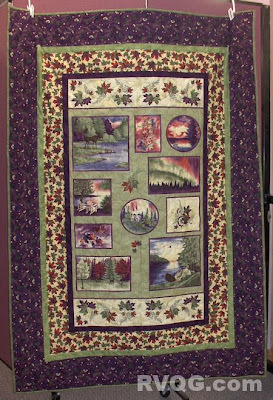 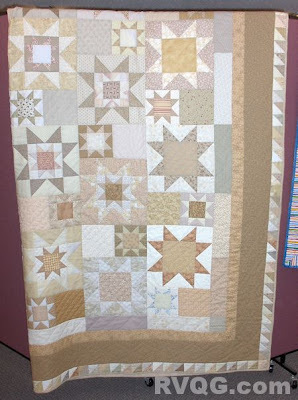 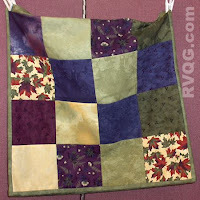 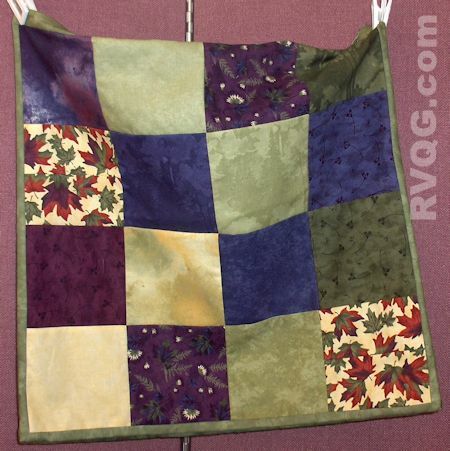 Only quilts that were brought downstairs for display before the meeting were able to be photographed. You may click any of the photos to see them larger. 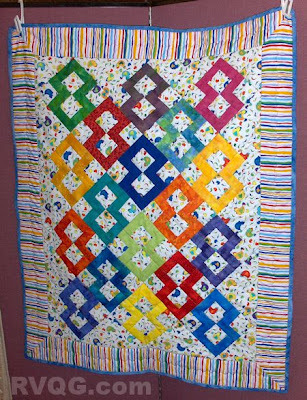 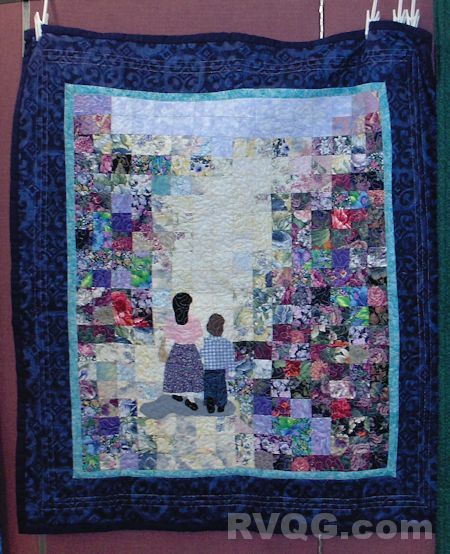 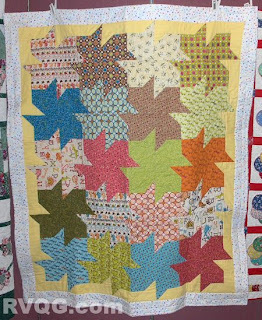 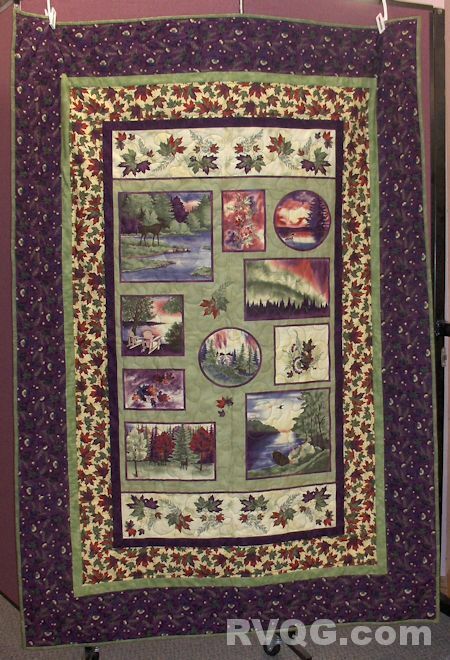 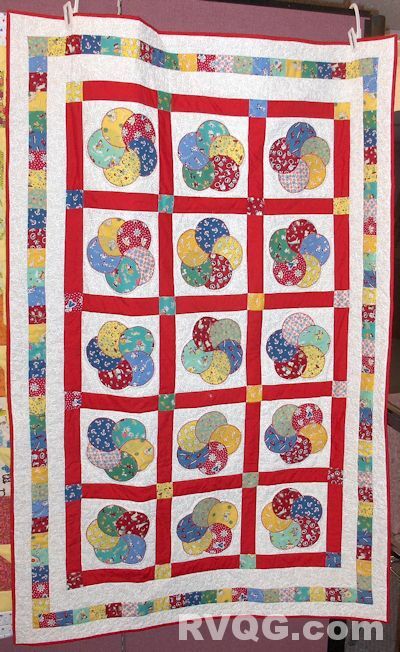 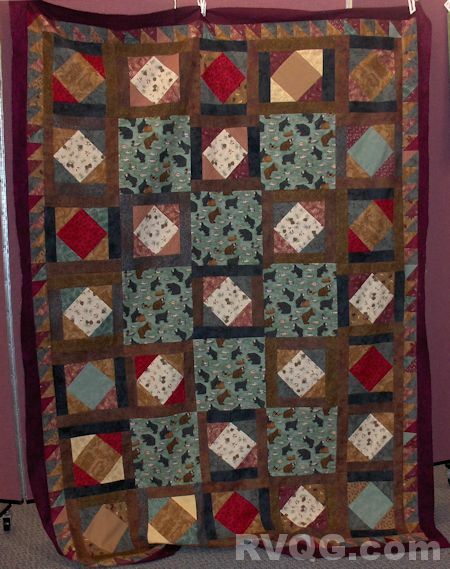 Elaine showed a brightly coloured lap quilt named "Chicks and Batik:"
Thank very much to everyone who brought in their quilts!